Can China Have a Melting Pot? As attention focuses on the Bo and Chen dramas, another internal challenge is facing China’s policy makers. As the Bo Xilai saga continues, China watchers are struggling to make sense of what Brookings Institution scholar Cheng Li calls the biggest political crisis to strike China since at least the Tiananmen Square Incident on 1989. To many, however, it is increasingly clear that China’s modern rise lies at a crossroads. And despite the drumbeat of unity, elites remain sharply divided over the way forward, with intense debate on a range of policy issues. Among these, one important discussion that has attracted scant media and scholarly attention is China’s ethnic policies. Inter-ethnic conflict appears on the rise across the mainland, with levels of violence not seen since the Cultural Revolution. 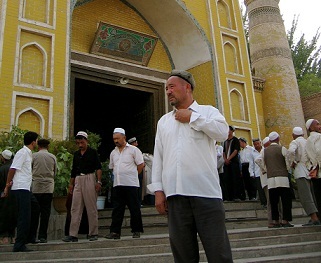 The brutal pogrom of nearly two hundred (some claim a thousand) residents of Ürümqi in July 2009 shocked the nation. To many, the Ürümqi incident and the previous year’s unrest in Tibet were powerful signs of a systemic policy failure. And while there’s still no consensus on how best to fix the problem, government officials are now joining academics (and the wider public) in calling for a major policy rethink. Ethnic relations in China are governed by a complex patchwork of policies, laws and institutions aimed at both preserving the autonomy of each of the 56 officially recognized ethnic groups, or minzu 民族 in Chinese parlance, while upholding national unity. The legal equality of each minzu is enshrined in Article 4 of the Chinese Constitution, with the Law on Regional Ethnic Autonomy outlining specific provisions to protect and promote the cultural, economic and political development of each minority group, including a series of controversial preferential benefits in the areas of judicial law, education, employment, and procreation. These policies, first initiated during the 1950s and then strengthened during the 1980s, were heavily influenced by the former Soviet Union. Western commentators have long decried the limitations of this regime of ethnic self-rule, highlighting the continued political and cultural marginalization of ethnic minorities like the Tibetans and Uyghurs. Against this criticism of “sham” or “circumscribed” autonomy, it may come as a surprise that there is a growing chorus of discontent in the opposite direction in China, with suggestions that there is too much focus on ethnic autonomy and not enough on national cohesion. Majority nationalism is a global phenomenon, but in China, where the Han officially comprise 91 percent of the population, minority protections are a particularly weighty problem. For many in China, the Han are China, and Han nationalism is no different from Chinese nationalism. Where does this leave the over 100 million non-Han minorities? For more than a decade, Prof. Ma Rong of Peking University has warned that the lack of an inclusive, shared national consciousness – one that can literally “fuse” (融合) the Han majority together with the minorities – will see China follow the USSR and Yugoslavia in ethnic disintegration. In recent years, Ma Rong has become increasingly strident in his calls for the scrapping of ethnic autonomy and preferential policies, suggesting that the systematic segregation of ethnic groups and institutions in China has rendered the Chinese nation (中华民族) an empty concept, and that the assimilation, or literally Hanification (汉化) of minorities, is an inevitable process of modernization. Without urgent and renewed emphasis on collective, national identity, it’s hard to imagine, Ma Rong argues, a Uyghur or Tibetan president of China let alone China’s continued peaceful rise. A protégé of the late Fei Xiaotong and a Hui ethnic minority himself, Ma Rong advances a forceful argument rooted in an eclectic mix of classic liberalism and Confucian culturalism. His once eccentric views now carry great weight in certain segments of the academy, state and Party. Moreover, one can find supporters of reform across the ethnic and ideological divides in China, and their influence appears to be spreading. Take two recent examples. Late last year, one of China’s leading public intellectuals, Tsinghua University’s Hu Angang, called for a “second generation of ethnic policies”: one that would remove barriers to “ethnic contact, exchange and blending” and bring China in line with global standards. And when this visionary of reform speaks, the Chinese government tends to listen: with over ten of his policy suggestions, ranging from tax to ecological initiatives, enacted by the government over the last couple of decades. Repeating many of Ma Rong’s concerns, Hu Angang and his Tsinghua colleague Hu Lianhe contends there are two major approaches to ethnic relations across the globe: the “melting pot” (大熔炉模式) and the “hors d’oeuvres plate” (大拼盘模式), and China would do best to following America, Brazil and India in strengthening the ethnic fusion of its peoples to avoid the fate of those countries like the USSR that attempted to preserve a delicate mix of different ethnic communities and territories. The two Hus urge the government should adopt an “apolitical” approach to ethnic relations and implement a range of urgent and radical reforms: the abolition of ethnic autonomous units; a shift from ethnic to regional-based preferential policies; the removal of ethnic status from identification cards and other official documents; the eliminations of barriers to ethnic migration, intermarriage and market flows; and the strengthening of Putonghua and bilingual education. Yet, there are signs that this could be changing. In a February front-page article in the Party School’s Study Times (学习时报), one of the CCP’s leading spokesmen on ethnic policy echoed many of the same sentiments as Ma Rong and Hu Angang. Zhu Weiqun, a Central Committee member and long time Executive Director of its United Front Department, made a rare admission of serious problems in the Party’s ethnic and religious work. Suggesting that the current focus on state-guided development won’t solve these problems on its own, he called for more emphasis on voluntary, self-initiated ethnic fusion, arguing that inter-ethnic blending and mixing is not the same as Hanification. The Party shouldn’t allow administrative measures to hinder the free flow of people and allow ethnic differences to harden. As a concrete example of what the Party could do along these lines, he personally recommended the removal of ethnic status from identification cards; a freeze on the creation of autonomous regions; and the strengthening of Putonghua and ethnically mixed schooling. Any policy change is unlikely in the short term – especially given the current focus on Party unity and a smooth political succession ahead of the 18th Party Congress later this year. Yet the dramatic fall of Bo Xilai and his quasi-Maoist/leftist “Chongqing model” has emboldened those calling for another round of market-lead reforms. And the once sensitive, largely closed-door debate about ethnic policy has become increasingly public. Including most recently, a special website created byChina Ethnic News(中国民族报), the official mouthpiece of The State Ethnic Affairs Commission, where this “battle of opinions” (观点交锋) concerning a second generation of ethnic policies is laid bare for all to see: including more than 20 articles for and against change. The fact that the website was created on the eve of Bo’s formal suspension from the Politburo is surely mere coincidence. But Guangdong party boss Wang Yang, the architect of the rival “Guangdong model,” is on the public record supporting a re-adjustment of China’s ethnic policies, and those calling for change are looking expectantly toward this next generation of CCP leaders. Wang’s approach, one focused on “baking-the-cake” rather than dividing it up, suggests the sort of market fundamentalism that his supporters believe will solve everything from housing to ethnic conflict. James Leibold is a Senior Lecturer at La Trobe University in Australia and co-editor of Critical Han Studies (University of California Press). He is currently based in Beijing, China.